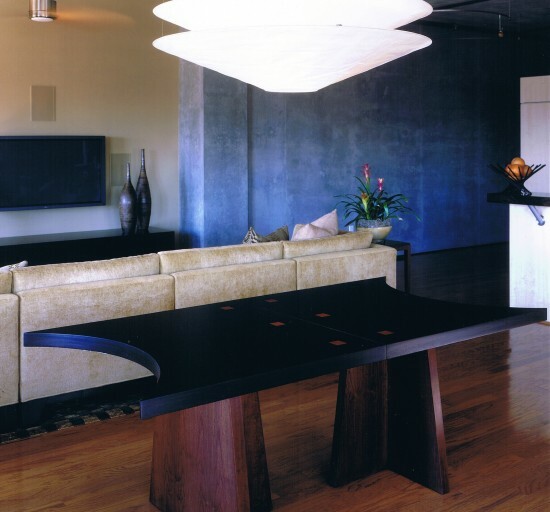 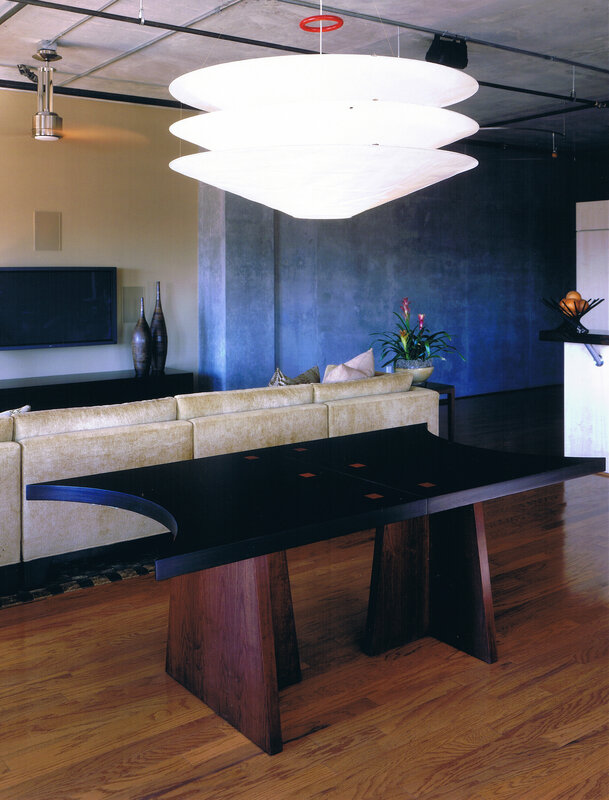 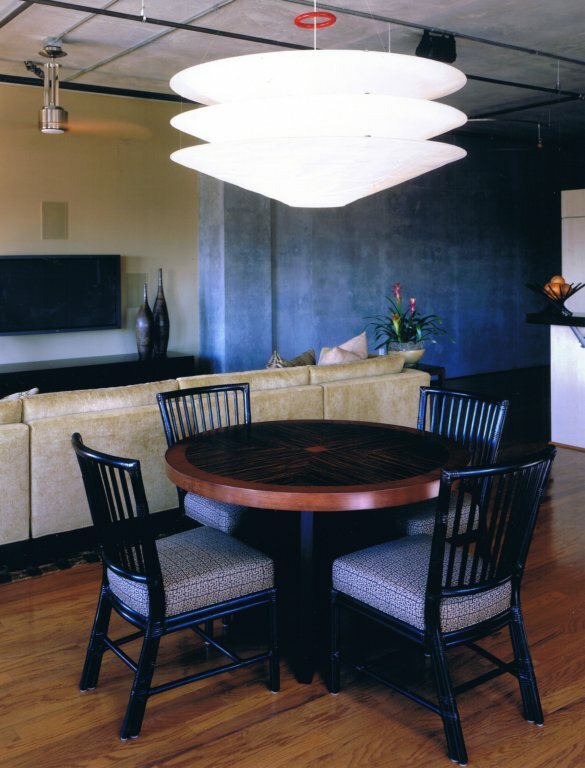 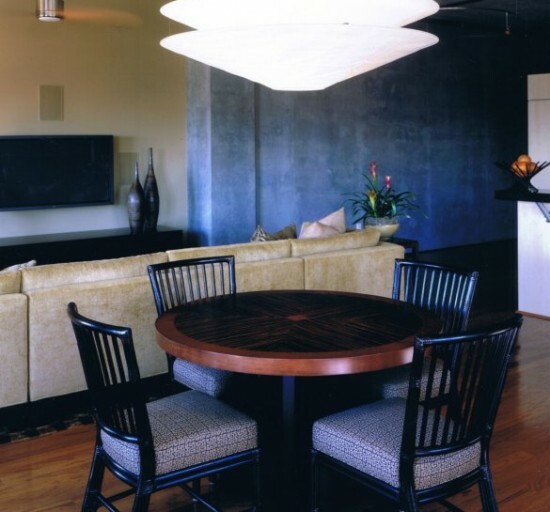 Jim Walters designed his multi-functional Elements Dining Table to dramatically delineate a dining area within this loft’s central living space. 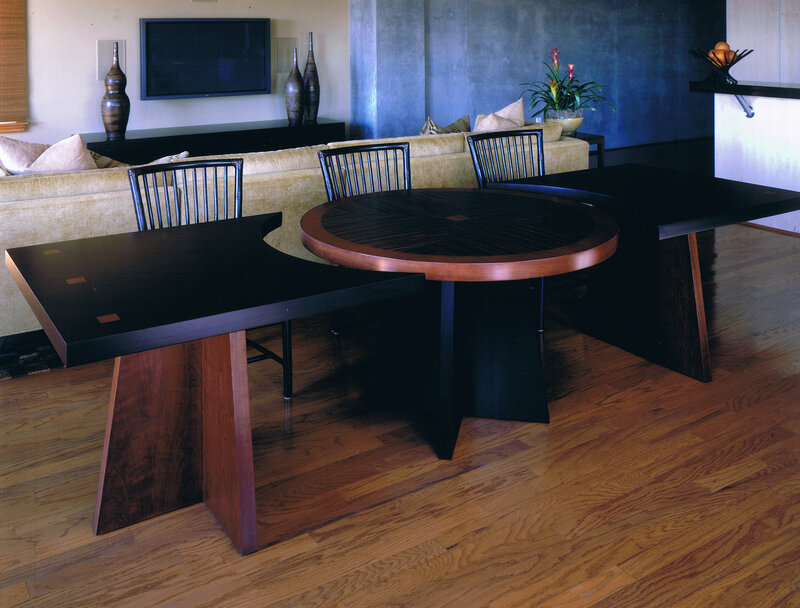 Jim Walters routinely includes fresh new custom design furniture in his projects. 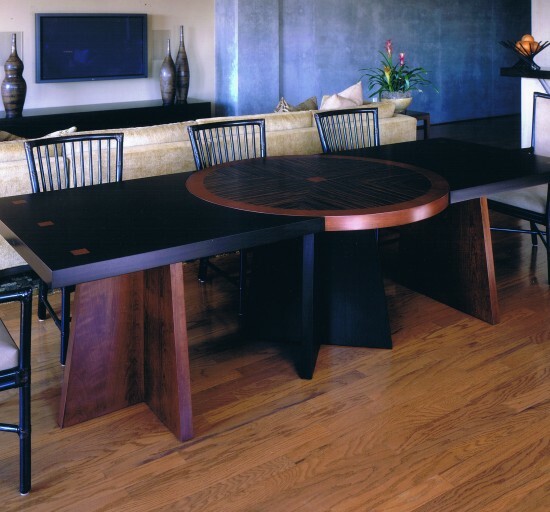 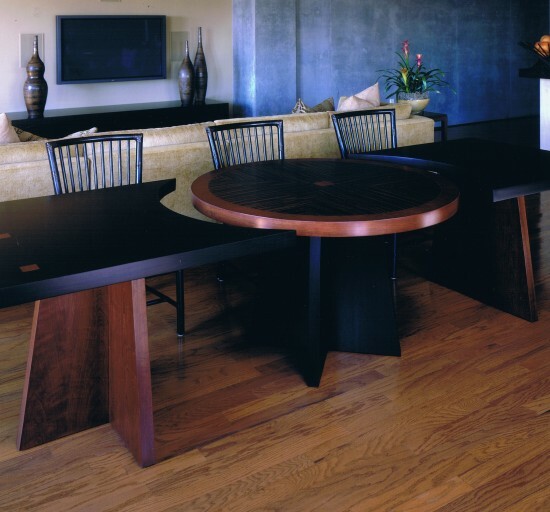 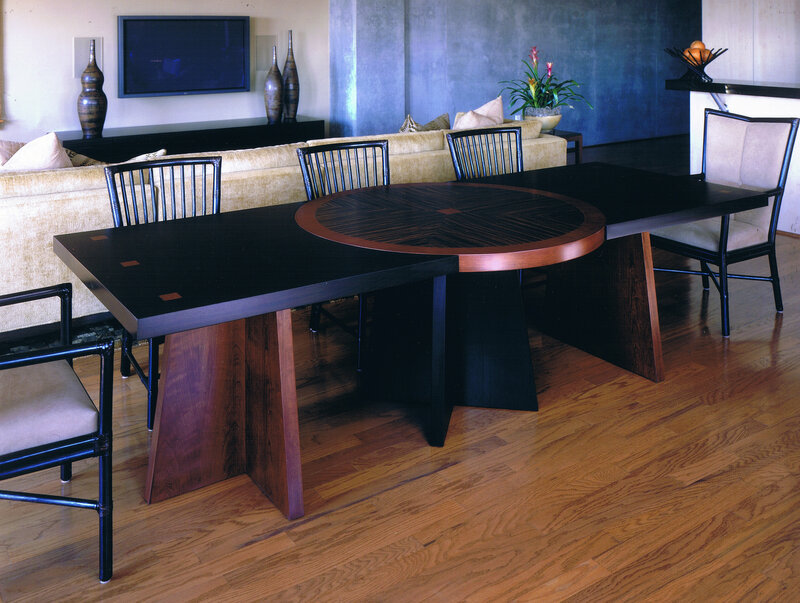 "The table, which received an excellence award for best furniture design from the American Society of Interior Designers, displays a smart combination of cherry wood, macassar ebony and mahogany with a wenge stain."